B.L.N.D. is Back for Event #2. Hello LA! You may have heard about the panel on diversity and inclusion we hosted last fall in New York City. B.L.N.D., which stands for Beauty, Lifestyle & Nurturing Diversity, was a special moment in time and the response was phenomenal. So we’re doing it again! This time, in our home base of Los Angeles. 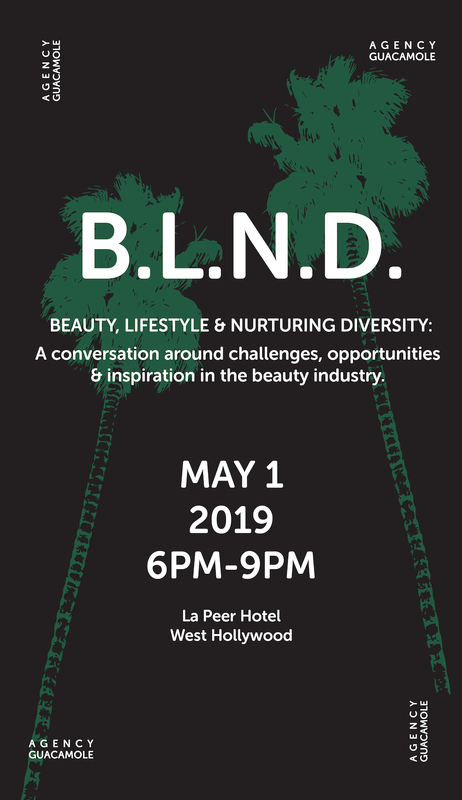 Join us on May 1 as we chat about diversity with beauty industry leaders, and leave with actionable insights for a brighter, more inclusive future. Register for this free event here—but don’t delay, as we expect a full house. Questions? Email us at blnd@agencyguacamole.com.